THE BREAKDOWN BEGINS... Former L.A. homicide detective Laney Holt walked away from big city crime after a shooting she couldn't put behind her. With L.A. in her rear view mirror, she accepted the position of deputy chief of police in a small picturesque paradise called Shutter Lake. Nestled in a peaceful valley surrounded by the Sierra Nevada Mountains, Shutter Lake is the perfect small town filled with pleasant, charming folks. The crime rate in Shutter Lake is zero...at least until the dead girl is found. The shocking murder shakes the town to its very foundation. Deputy Chief Laney Holt watched the coroner and his assistant leave with the body before following Chief McCabe and Officer Trask. She heaved a big breath and glanced over at the guys in the white suits who were dusting for prints and searching for other trace elements of potential evidence. Their rhythmic movements prompted far too many bad memories for her comfort. By the time she caught up with McCabe, he and Trask were in the victim’s sizeable walk-in closet. McCabe nodded and motioned for the younger man to get on with it. Behind the silk and cashmere tops was a wall safe. Not so surprising. Laney imagined most of the houses in Shutter Lake had hidden safes. Admittedly this one was considerably larger than average. She moved closer as Trask reached for the door. Once the safe stood open, the officer stepped aside so that McCabe and Laney could move in closer. The steel box in the wall was a little deeper than Laney had expected. A full foot at least and noticeably larger all the way around than the average one she’d seen. “What’s behind this wall?” she asked, still reeling with surprise at the contents staring her in the face. He was right. Evidently the person who killed Sylvia Cole had no idea the safe existed. “I don’t believe I’ve ever seen one this big,” McCabe said, almost to himself. But it wasn’t really the size of the safe that was so stunning. It was the stacks and stacks of bundled cash sitting inside it. 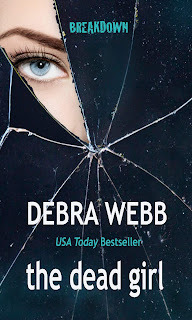 Debra Webb is the award winning, USA Today bestselling author of more than 150 novels, including reader favorites the Faces of Evil, the Colby Agency, and the Shades of Death series. 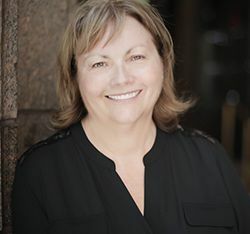 With more than four million books sold in numerous languages and countries, Debra’s love of storytelling goes back to her childhood on farm in Alabama. 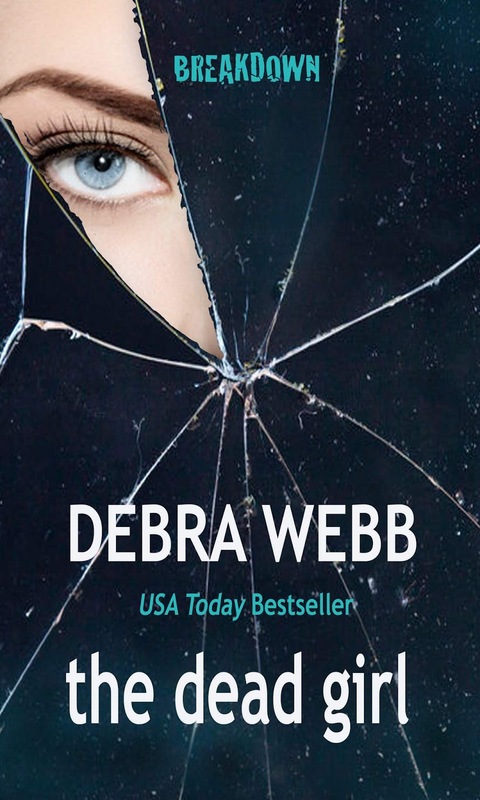 Thanks so much for sharing the dead girl and the BREAKDOWN series!